"It's done after two years of hard work," Iacono said. "We really made sure we had every element covered, going over all the riffs and arrangements hundreds of times to make it the best it could be. Our fans have given us so much over the years, and it was time for us, without any label pressure or time limit, to give back with the album they have been waiting for. We think we've accomplished something special." 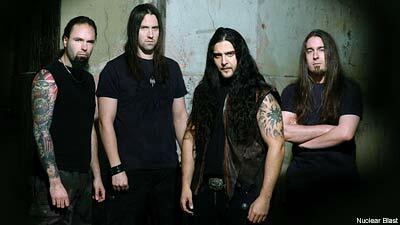 Before heading into the studio, Kataklysm will head out on tour with Kreator, Evile, Lightning Swords of Death and Lazarus A.D. starting March 18 in Seattle and running through March 31 in Atlanta. "It should be a lot of fun," Iacono said of the tour. "As soon as we are back, we will give the album one last checkup and then start recording." Guitarist Jean-Francois Dagenais, who has produced records by Malevolent Creation and Misery Index, will again produce the album, and Tue Madsen (the Haunted, Suicide Silence) will mix the record. "We should be wrapped up and mixed by this summer," Iacono said. "Next year it will be the bands 20th anniversary, so you can bet that we will deliver the goods. We promise."